We are ten days into the new year and I’m feeling a little all over the place. On a regular basis I flip back and forth between being extremely excited about things that are happening and completely overwhelmed by all that I have to do. There are some very big plans that are in the works, but I have a lot to do to make everything happen. And while I am depending on some other people to do their parts, most of the effort is my responsibility. The last thing I want to happen is to be so close to something I really want but not quite there because I’ve become a gating item. That just isn’t an option. It’s just slightly emotionally draining. So in the midst of my mini breakdowns I started bookmarking a few over-the-top chocolate recipes. And since my new recipes are a little slow for the blog at the moment, I figured I should share the chocolate love with all of you. Here are some of the amazing chocolate recipes that I found and others shared with me. Thank you so much for including my Quadruple Chocolate Loaf Cake in this post! 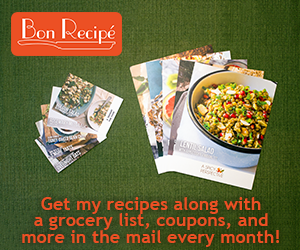 I will be checking out all the other delicious chocolate recipes too! Oh great round up, I totally want the peppermint brownies!! I know, there is a chocolate bar in the middle!! Oh man too many options to pick from. Nothing makes you feel better than a little bit of chocolate. Well, maybe a lot of chocolate? I remember so many of those. Now I wish I had a big slice of chocolate cake! How did you know I was craving chocolate? This is so perfect for me right now. YUM! I might be hyperventilating with desire. Ahem. I hope things work out! You can do it! I hope all of your plans come together! And I always love these parties of yours. Always a great list of delicious items! You can never have too many chocolate recipes – all of these look so good! And I hope life calms down for you a bit soon, I know that feeling all too well and it’s not nice at all. Thanks, Kathryn. That means a lot! (a) NO BREAKDOWNS. You are going to do this and you are going to do this awesomely. It will just take time. And yes, it will be draining. BUT IT WILL BE WORTH IT. (b) If you DO have a breakdown and want to vent…I’m a phone call and/or a ferry ride away! And I’m pretty much all ears all the time when it comes to all things you. (c) CHOCOLATE heals all wounds. Thanks so much for including my brownies! I want to eat this post. the whole thing. Thanks, Lori. I was pretty inspired by your cheesecake cake! thanks for linking to my chocolate cake. I would love a slice for breakfast! can’t wait to hear your news…maybe some chocolate to help celebrate?! Thinking about you, Lauren, and hoping things continue to fall into place as the weeks go by. Can’t wait to hear what the big news is! I know what you mean about feeling all over the place. We leave next month to the East Coast and I have a little anxiety about it. & how do you relieve anxiety? Chocolate! Awesome round up..everything look sooo delicious, and I remember so many of them!!! So excited for your big plans!! Even though I don’t know what they are I always love hearing that poeple have good things coming!! And thanks for totally making go even more chocolate crazy!! I want to make every single thing on this list. Ooooh… I’m drooling. These all look so decadent and delish! Haha, chocolate helps everything! And I got your reply to my last message – I am excited to hear about the big plans that you have in the works. I’ll be cheering for you! now i need to be done with dinner so i can move on to dessert! Chocolate overload…and I totally love it :) I hope all goes well with your projects! oh this post is dangerous! Now I want some chocolate!!! Oh my goodness where to start!! They all look so delicious. I am new to your blog. Glad I found it! what a round up, heaven!! big news..how exciting!! What an indulgent line-up of chocolate happiness! Wow ! Your love for chocolate is evident from your chocolaty desserts. Lovely !